Twelve-year-old Jack Goodrich was a Broadway star, with two shows under his belt and a third in rehearsals. But when his voice suddenly changes, Jack and his parents leave the spotlight and move far from New York City to Shaker Heights, Ohio. While Jack hopes to leave his Broadway past behind, his new neighbor refuses to let him off the hook. 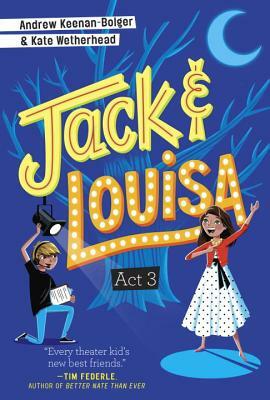 Louisa is a self-proclaimed "musical theater nerd" and can hardly believe when an actor moves to town. What's more, the local theater has announced auditions for her favorite show, Into the Woods. As the audition date looms nearer, the two are faced with difficult choices. Should Jack risk humiliation and return to the stage? 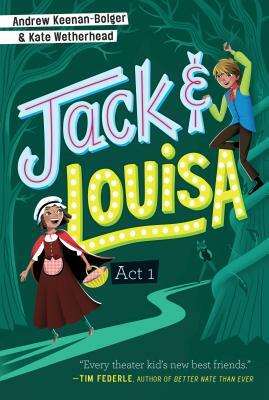 Will Louisa have confidence to go it alone? And can friendship survive all those complicated octave leaps? 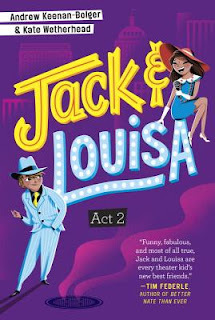 Shaker Heights Middle School is putting on Guys and Dolls and best friends Jack and Lou are hoping to get lead roles. But a mysterious new director soon arrives to town and threatens to meddle with their dreams. Is Shaker Heights big enough for two Broadway legends? Add your review of "Jack & Louisa" Act 1, 2 and/or 3 in comments!